Importing footage is an essential and often time-consuming part of the editing process. 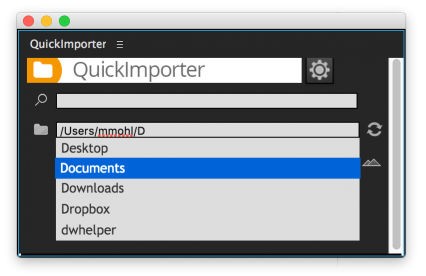 With QuickImporter, you get a next generation file import dialog with super-fast, fuzzy keyword search and a built-in audio player. This makes searching through large footage libraries a breeze. 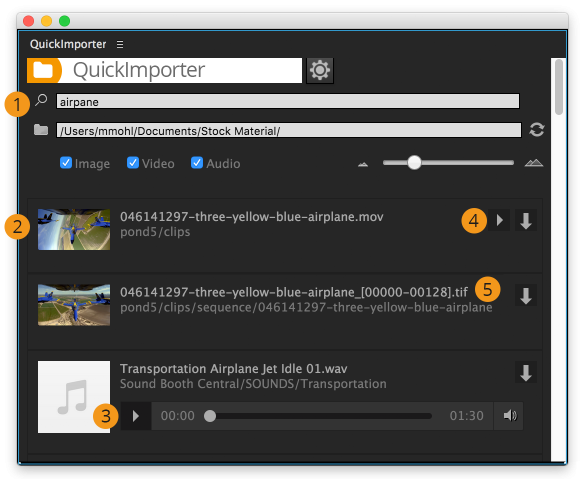 QuickImporter offers the same, efficient workflow in Premiere Pro, After Effects and Audition. super-fast, fuzzy search instantly searches through thousands of files to find what you want - even with typos in your search term. Multitrack Support If you're working on a multitrack session in Audition, QuickImporter inserts the files directly into the active track of the session. If not, QuickImporter opens the file in the waveform editor. 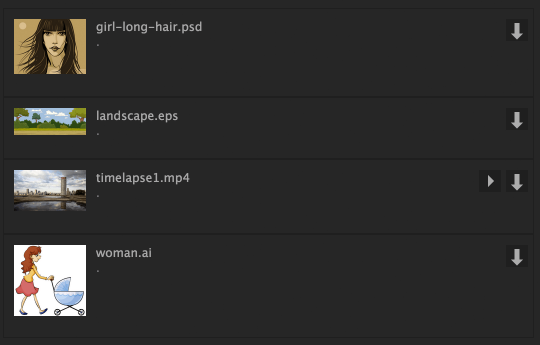 Thumbnails in QuickImporter are based on the MacOS Quicklook. This means QuickImporter supports thumbnails for a huge variety of file formats, including psd, ai, eps and most video formats. This means that if MacOS finder can show a thumbnail for a file, QuickImporter can show it too. If you don't get a thumbnail for a particular file format, you can check whether there's a Quicklook plugin for it. QuickImporter, Still Exporter and BeatEdit - 3 Premiere Pro extensions for an unbeatable price. Due to a limitation within Premiere Pro, image sequence import does not work in Premiere Pro versions older than CC 2015.4. Thumbnail images are based on the Mac OS Quicklook system, so on Windows, thumbnails are only available for jpg and png files. Audio preview is not available for AIFF files.